The Mills River watershed area contains the largest trail complex in the Pisgah Ranger District southwest of Asheville, NC. It's located between the adjacent, and better-known, Bent Creek and Davidson River areas of the Pisgah National Forest. Hendersonville Reservoir looking toward the Big Creek side of the pond. Bordered roughly by the Blue Ridge Parkway to its north and west, Black and Funneltop Mountains to its south and west, and Forge Mountain and NC Hwy. 280 and 191 to its east, the Mills River drains a large and varied swath of mountain land. Two main watercourses flow through the area: the North and South Mills Rivers, which join together after flowing east out of the National Forest. 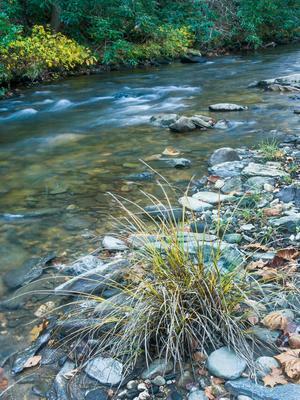 These rivers start high on the south side of the Pisgah Ridge, which achieves the area's highest elevations. Mountain summits climb up to over 5700 ft. on Mount Pisgah, just outside the area across the Blue Ridge Parkway, while trails climb to over 5000 ft. on Laurel Mountain. Most of the area is composed lower mountains and ridges, though, which extend south and east; even in these lower elevations, deep valleys and sharp slopes make up a lot of the landscape. 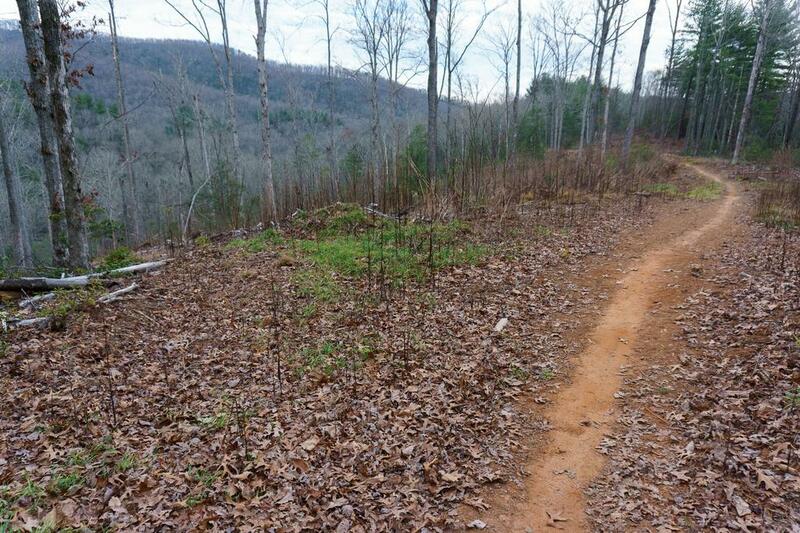 Owing largely to its wide expanses, lack of accessibility, and generally rugged terrain, trails in this area tend to be more remote, less popular, and less traveled than their counterparts to the north (Bent Creek) or southwest (Davidson River). But a gravel road connects across the Parkway into Bent Creek; likewise, another gravel road connects into the Davidson River area. The North Mills River Recreation Area is the only developed recreation site in the vicinity; not surprisingly, the most heavily used trails in Mills River are nearby. 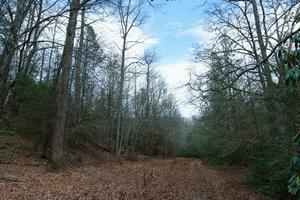 It's located along the main road leading into the area at the National Forest boundary. The North Mills River area is smaller than its southern counterpart, and with more roads, developments, and evidence of logging activity. 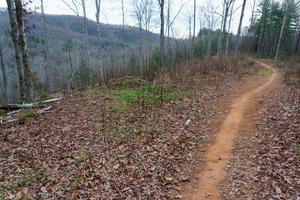 A vast selection of trails lie within this area. Starting in the North at Wash Creek Road (FS 5000, the road which connects to Bent Creek), two nice trails - Bear Branch and Bad Fork - can be accessed directly as the road descends the Pisgah Ledge. At the bottom of the valley, a short spur road leads southwest from FS 5000 to the Trace Ridge Trailhead. Scenes from the North Mills River area. At the end of the spur is the Forest Service's Trace Ridge trailhead parking area, which is popular with hikers, mountain bikers, and fishermen. From there, the North Mills River, Trace Ridge, Fletcher Creek, Spencer Branch, and Middle Fork trails are all accessible. The Big Creek trail heads further west into the Laurel Mountain backcountry area, where more solitude and natural landscape can be found than the rest of North Mills River. The Big Creek trail leads all the way up to the Blue Ridge Parkway. Farther south is (not surprisingly) the South Mills River. 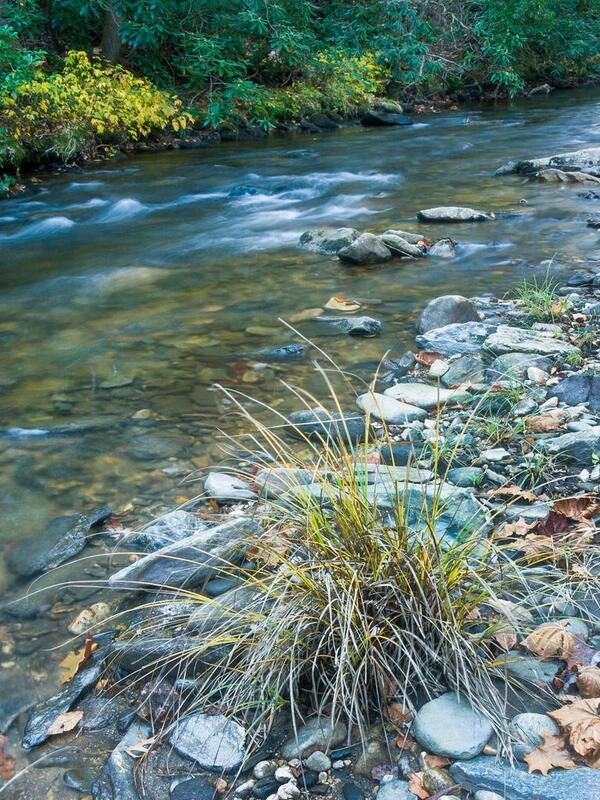 This river is rugged and wild, encompassed by the South Mills River backcountry area. 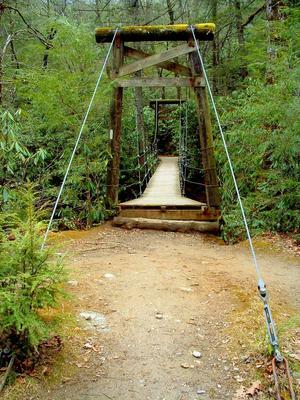 There are many excellent trails criss-crossing the gorge and mountains through which it runs, such as the South Mills River, Mullinax, Squirrel Gap, Poundingmill, and Turkeypen trails. The latter can be accessed from the Forest Service's Turkeypen trailhead parking area at the end of FS 297, Turkey Pen Road. Scenes from the South Mills River area. 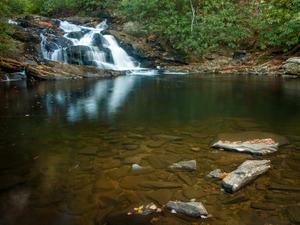 Several more trails are located in the Bradley Creek drainage, which is a large tributary of the Mills River. 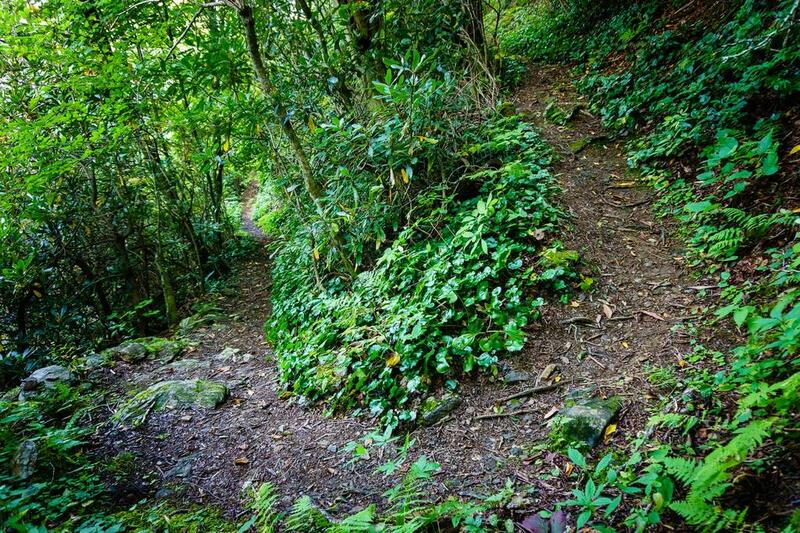 The Pilot Rock, Pilot Cove-Slate Rock Loop, and Laurel Mountain trails can be found among others which join to the Mountains to Sea Trail and the Blue Ridge Parkway. 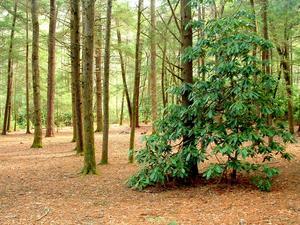 At the upper end, these extend up into the Laurel Mountain backcountry area. Switchback amongst a plethora of greenery on Little Bald Mountain. 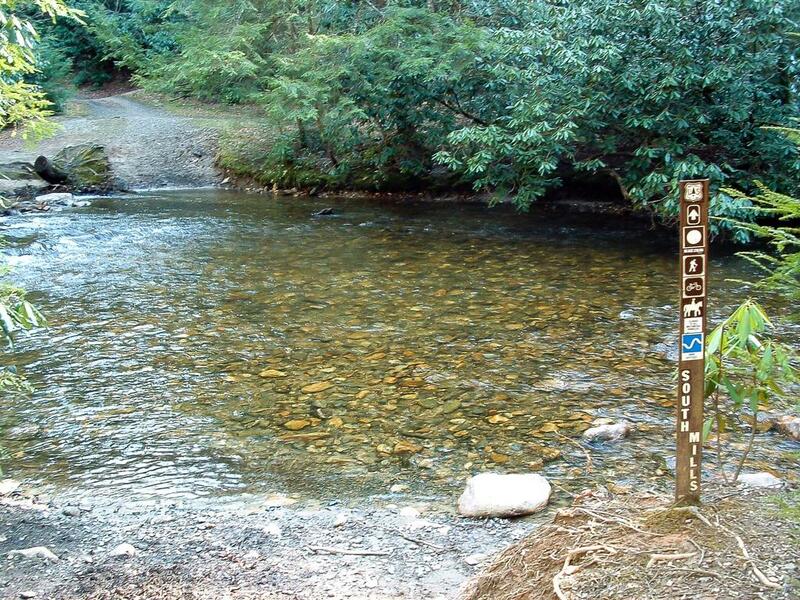 Trails also interconnect between the Bent Creek, Mills River, and Davidson River networks, making longer and overnight backpack trips possible. 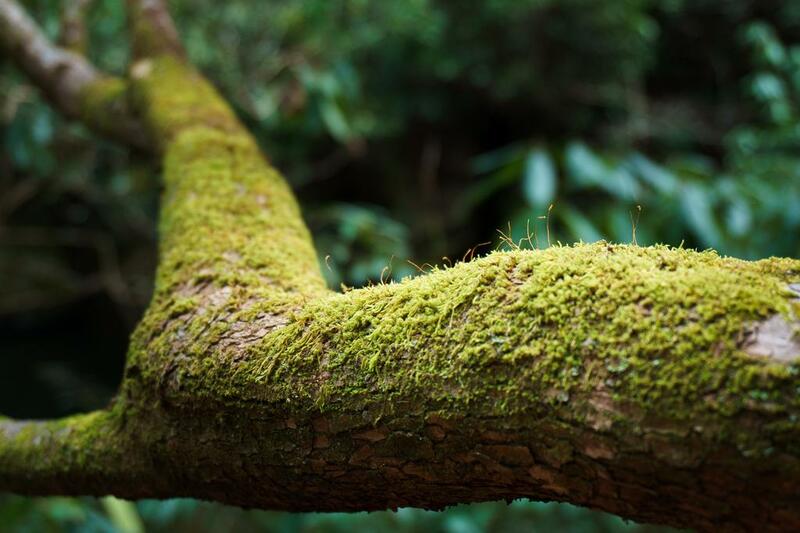 For detailed information on each individual trail in the area including all the ones mentioned briefly above, visit the Mills River Trails page. Here's a map of the Davidson River area. For more maps, including printed publications, see our Mills River maps page. Tuft of grass, or grass-like plant, growing on a spit of round river stones along the South Mills River. In addition to places listed below, the towns of Mills River, Fletcher (near the Asheville Airport), Asheville, Hendersonville, and Brevard present numerous camping and lodging options near the Mills River area, all within about 30 minutes' drive. Camping is allowed anywhere on National Forest property, except within 500' of a road or in a designated closed area. Good campsites can be found along many trails in the area, especially those in the South Mills River section, for possible backpacking loops. 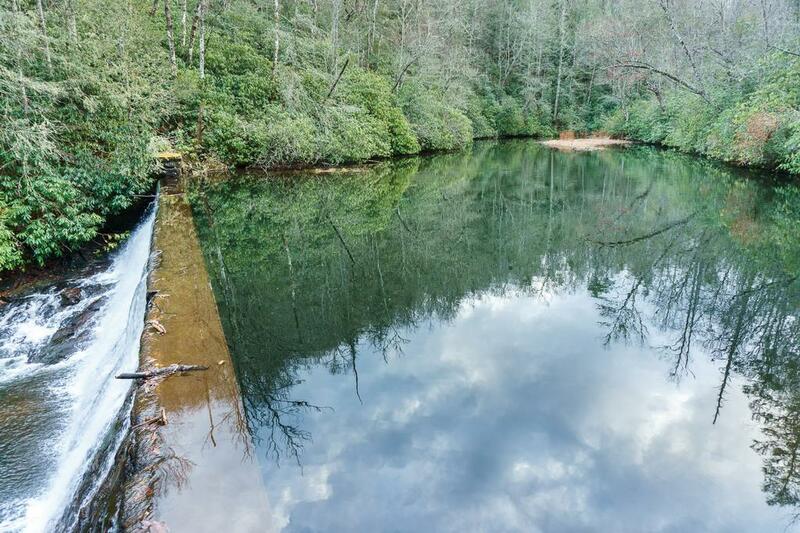 The North Mills River Campground is located five miles west of NC 280 on North Mills River Road at the entrance to the National Forest. Now open year-round (with limited services from November 1 - March 31), this campground offers 32 level, shady sites with flush toilets. Smaller RV's will fit into some sites and are welcome, but no water or electricity hookups are provided. Rates are $11-$14/night. The campground is across the road from the river and a picnic area and large grassy meadow are nearby. 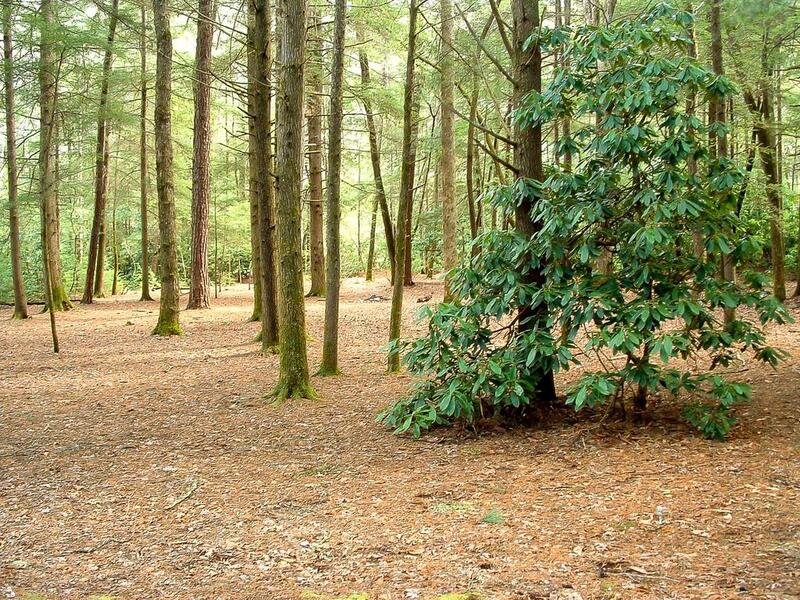 The campground is within a short distance of trails that start at Trace Ridge trailhead, and within a few minutes' drive of all trails in the area. Additional information and reservations are available at Reserve USA. 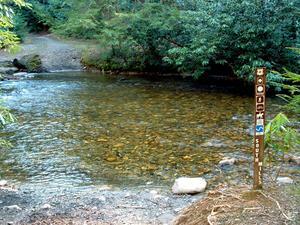 There are designated roadside campsites along FS 5000 and FS 1206 as well. These sites have graded, gravel tent pads, parking areas, lantern posts and some other fixtures such as fire rings and picnic tables installed. This makes these sites desirable for those looking to save a buck on camping. However, they are first-come, first-serve and are usually completely full on warm weather weekends. Security is also a concern at these free sites since they are more remote.